Home » »Unlabelled » Maniesh Paul will join us for the upcoming Raahgiri to be held at Rezang La Chowk, Palam Vihar on April 8, 2018. Maniesh Paul will join us for the upcoming Raahgiri to be held at Rezang La Chowk, Palam Vihar on April 8, 2018. 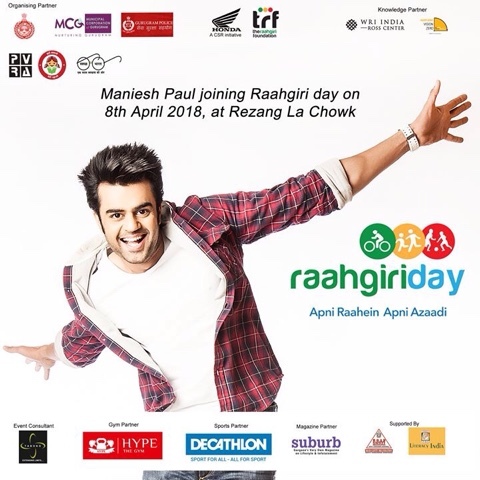 An Indian television host, anchor and Bollywood actor Maniesh Paul will join us for the upcoming Raahgiri to be held at Rezang La Chowk, Palam Vihar on April 8, 2018.